She Writes Press has a SWP Passion Project that gives a career-changing opportunity to a very fortunate writer. The SWP Passion Project gives at least one project and the author of that project the chance to have a complimentary She Publishes package, a collection of services at a $3,900 value. Each submission to SWP is considered for the project, and a portion of each entry fee goes toward continuing the project every year. This builds a further sense of community within the She Writes network, for women are directly supporting other women writers with each submission. Publisher Brooke Warner explains, “This was a holdover from something that was dear to Kamy [Wicoff] at She Writes. Kamy felt it was important to publish books that wouldn't otherwise be published. “Our first passion project was Hedgebrook Cookbook. 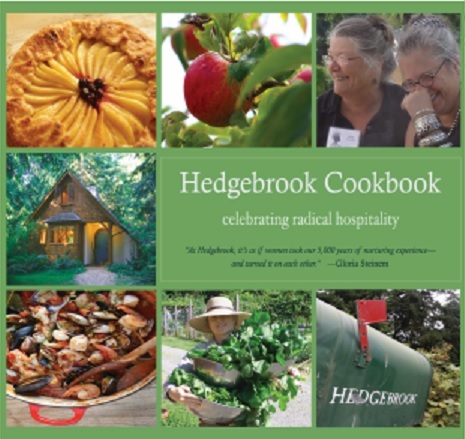 Hedgebrook is this amazing nonprofit organization that gifts writing residencies to women writers and they had wanted to do a cookbook for years. Being able to do that for them has been so rewarding. SWP’s second project is coming out in spring 2014. Warner and her co-editor are bringing out an anthology about pregnancy loss. “This project is a passion project because it's so important to honor these stories, and yet this is the type of book, because the topic is so sad and tragic, that most mainstream publishers would steer clear of.” Having the ability to take risks knowingly in the publishing business is a rare quality, and SWP is making sure that they keep their engines revved by continuing their passion project into their next list.